Devon Cars are your local minicab provider. 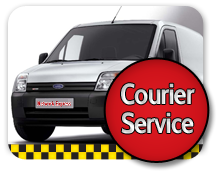 We are located at 14 mins driving distance from Camden, giving you the best prices in town. At Devon Cars we believe in offering great value fares to all our customers. We would not wish for you to be wasting money on over expensive minicabs in Camden or in surrounding areas. Camden Town, often shortened to Camden (ambiguously also used for the much larger London Borough of Camden of which it is the central neighbourhood), is an inner city district of London, 2.4 miles north of the centre of London. It is one of the 35 major centres identified in the London Plan. Camden is inexorably connected to London's music scene, with connections to such icons as Pink Floyd, Blur, The Doors and Amy Winehouse. There are several live music venues in hipster Camden, including The Jazz Cafe for a smooth night out. Lovers of alternative fashion will enjoy a browse here too, with shops selling punk, Goth and other vintage clothing and fashion accessories. For a day on the river, take a canal boat from Camden Lock to pretty Little Venice. 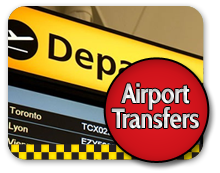 Door to door service - We can get you to and from your hotel at any time, with our 24/7 door-to-door minicabs near Camden. Need help to visit places or find restaurant in London we can help. There are plenty of great places to visit in Camden and we would love to get you to them. 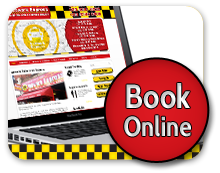 Book a Devon Cars taxi to meet you from your destination and bring you back to Camden when you are ready to come home. Whether you are a tourist, business visitor or local, Devon Cars offers some of the best rates and customer service in Camden!